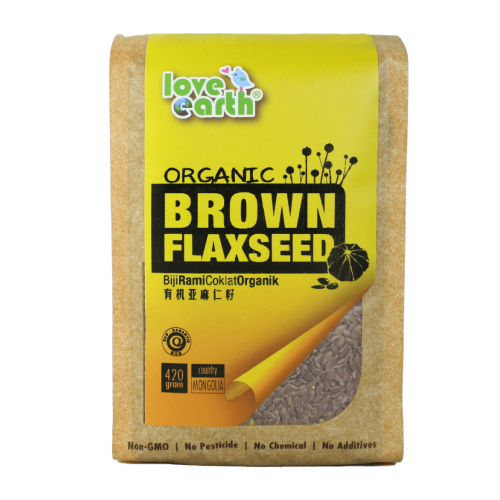 The nutritional value of golden flaxseed and brown flaxseed are similar. A high quality flaxseed whether golden or brown will accomplish the same heart healthy result, although we have found most people prefer the nutty-buttery flavor of the golden flaxseed over the brown flaxseed. The primary omega-3 fatty acid in flaxseed, alpha-linolenic acid, or ALA—can be helpful to the cardiovascular system. Three of the lignans found in flaxseed; secoisolariciresinol, matairecinol, and pinoresinol—can help to reduce the risk of cancers. Sprinkle ground brown flaxseeds onto your hot or cold cereal. Add brown flaxseeds to your homemade muffin, cookie or bread recipe. To pump up the nutritional volume of your breakfast shake, add ground brown flaxseeds. To give cooked vegetables a nuttier flavor, sprinkle some ground brown flaxseeds on top of them.